warm red pink mix tokyo two shawl - robins hood - dutch design - interior - accessories - vintage. 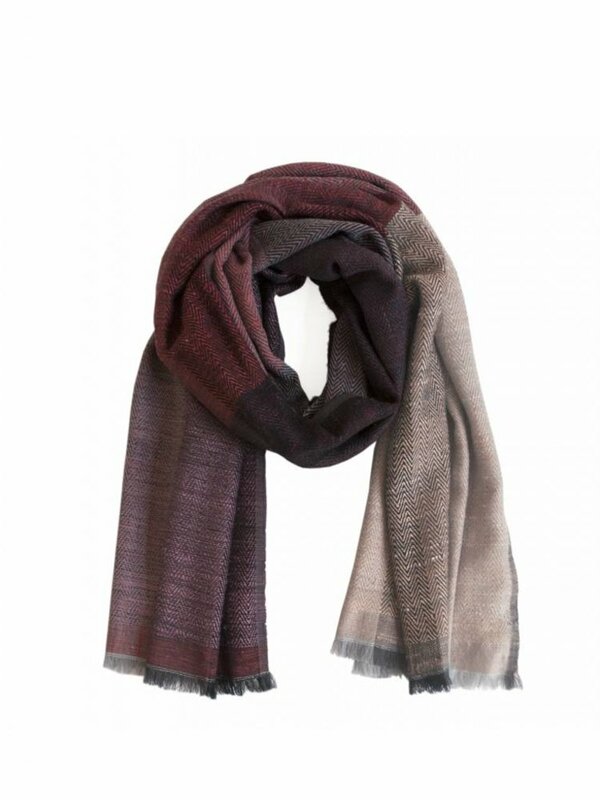 This delightful, somewhat heavier shawl by karigar is the result of a marriage between traditional weaving techniques and high-end modern design. Karigar provides a fascinating result of beautiful products, made in a beautiful way. Rural India has been the cradle of crafts since centuries. With karigar's designs, they now produce their high quality products with a high-end design. The luxurious blend of natural fibres is very comfortable and keeps you warm in style. material: 55% silk, 45% merino wool. size: 70cm x 200cm. This shawl simply is your new favourite one! All Karigar products are hand woven by passionate artisans. Each item is unique, the small charming imperfections are part of this production process and contribute to the beauty of your personal scarf.